New Website Launches, Giving Public Access to Measures of Child Wellbeing & Equity in the U.S.
COLUMBUS, OH– With the help of The Kirwan Institute for the Study of Race & Ethnicity, The Institute for Child, Youth and Family Policy (ICYPF) at Brandeis University’s Heller School for Social Policy and Management has launched today a new online data and analysis tool—diversitydatakids.org—providing unprecedented insight into wellbeing and equity among the ever more diverse child population in the United States. The website and its online tools were created with generous funding from the W.K. Kellogg Foundation and The Robert Wood Johnson Foundation, and will help users pinpoint inequities that exist among children of varying racial and ethnic groups that threaten wellbeing. The website also allows users to create customized profiles, rankings and maps of childhood wellbeing in their own communities, translating demographic data into more visual and understandable formats. Users can zoom from a national and statewide perspective, to smaller levels of geography, including individual metropolitan areas, school districts and, in some cases, neighborhoods. 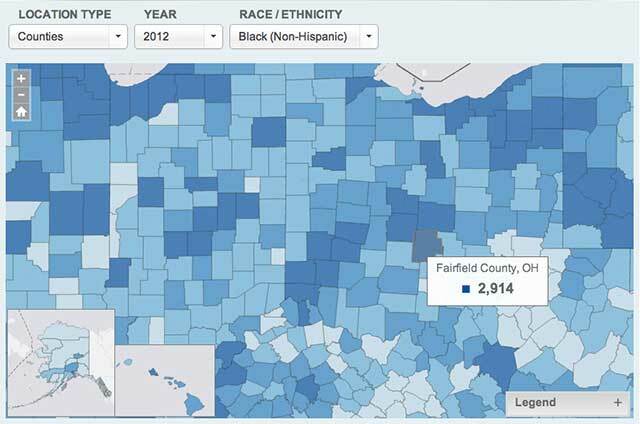 Most importantly, the site makes available to the public for the first time unique region-specific data that, highlight known structural factors that research has shown to catalyze racial and ethnic disparities. The site features three fact sheets that illustrate how the region-specific data can be used to promote community discussions about enhancing opportunity for children. “Our hope is that the project will be a toolkit for other researchers, policymakers, and advocates to promote positive change that will improve the lives of our children,” Davies said.